OptimizeWayne has found immense success and support from many. A few, however, are extremely generous with their time, support, energy, and counsel. Our Board of Advisors sustain the growth of OptimizeWayne by guiding our Core Team's development and actions. 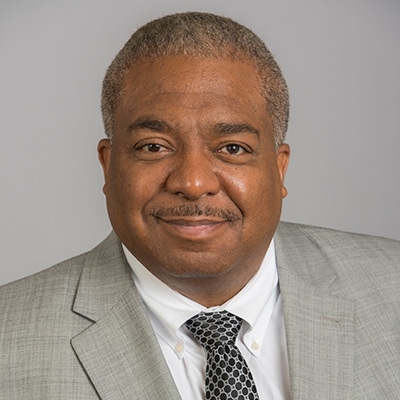 As Wayne State’s chief academic officer, Dr. Whitfield is the second-ranking executive officer and responsible for all matters related to the instructional mission of the university including faculty matters, student performance and retention, and academic personnel policies and decisions, among other duties. Provost Whitfield provides OptimizeWayne with immense support, ranging from funding to counsel to development and growth. His passion for student success and entrepreneurial engagement are evident as he is spearheading the creation of the Innovation Hub and catalyzed the inaugural STEAM Challenge in 2017. Jeff Sorensen founded optiMize at the University of Michigan in 2012 when he saw that students did not have the chance to apply their passions to the real world, losing out on a great opportunity to learn and to make sustainable impact. After creating optiMize as a student, Jeff is now the Director of Social Innovation at the College of Liberal Sciences and the Arts and has empowered over 2500 students to make over 300 social innovations come to life in a sustainable and impactful way. Add to the fact that he is of Forbes 30 under 30 and Crain's Detroit 20 in their 20s, it's clear to see that we've got a great mentor. Amanda Lewan is an entrepreneur and award-winning writer. She is Co-founder of Bamboo Detroit, a real estate company that builds inclusive community focused spaces. She is Founder of Michipreneur.com, a digital publication on business and innovation. As an entrepreneur and marketer, she has empowered numerous companies over her career, including organization such as OptimizeWayne. Amanda serves as a key link between OptimizeWayne and the rest of the Detroit ecosystem and is always eager to pull more students in so that they can grow their enterprises by connecting with everything Detroit has to offer. She's always kept her doors open and her pen ready for new innovators and their stories. Marijo Upshaw is an experienced social entrepreneur. Her career has spanned over 25 years at the social administration, leadership and management level. She is currently a part-time faculty member at the School of Social Work at Wayne State University. She teaches a graduate level course on Social Entrepreneurship that she developed for the university and serves on the SSW’s Entrepreneurship Committee. Marijo has supported us by ensuring that our work remains grounded in social impact and has recruited numerous students for the challenge. Her passion for social impact keeps the team inspired to continue to grow OptimizeWayne. As Senior Program Administrator of Innovation Warriors Aubrey Agee has supported over 4,000 participants in their exploration of entrepreneurship. Aubrey has guided 365 students to generate their own business models and helped over 115 businesses launch. Sixty one ventures have generated revenue within the first three years of Aubrey’s leadership through Innovation Warriors. Aubrey has been one of OptimizeWayne's most constant and helpful advisors, guiding our growth immensely. Aubrey is a speaker, mentor, and coordinator for much of the work we do. Dr. W. Ethan Eagle is an Assistant Professor of Mechanical Engineering at Wayne State University where he directs the PROMETHEUS Research Lab. He is very passionate about urban entrepreneurship and innovation that empowers Detroit and the global community. Ethan's mantra is, "build the change you wish to see in the world." He is an accessible mentor to our Optimizers and helps the Core Team continue to employ new tactics to ensure sustainability and impact. With his diverse experience and wide involvement, Ethan has curated a knowledge of how to make innovation happen, and he's helping us do just that!